Request an appointment with ePMC Patient Portal. Access medical information and communicate with your physician’s office securely from your desktop, smartphone or tablet! 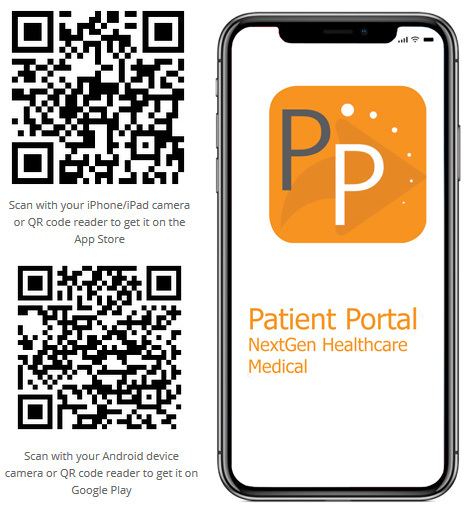 To visit Patient Portal, visit https://www.NextMD.com or download the app below! A token to access Patient Portal can be obtained from your PMC physician’s office.